The previous post “The Cretaceous–Paleogene (K-T) Extinction Event” reasons that the ‘K-T extinction’, at the close of the Cretaceous Period, which wiped out the remaining non-avian dinosaurs, currently dated at 66 Ma (milliom years) actually occurred about 6,000 years ago. At that date proto-Venus was born from an imapct on Jupiter which triggered an enormously energetic fusion explosion. Within a few centuries proto-Venus made two close passes to the Earth, inverting the spin axis of the lithosphere, which slid easily over the low viscosity asthenosphere. The resulting devastations of Earth prepared it for the re-creation by the influx of completely different life forms from Mars, including the introduction of Homo Sapiens Sapiens. Amazingly, geologists and paleontologists label this as the K-T and claim that it marked the beginning of the Cenezoic Era (66 Ma Before the Present), during which all of the flora and fauna we know today appeared. Actually, one hundred long-term (14.4 year, called kalpas in the Rg Veda and inundations in Egyptian texts) close encounters with Mars between 3717 and 687 BC, resulted in all the enormous changes in the Earth currently attributed to the Cenezoic Era. The gradualism paradigm, or uniformitarianism, popularized by Sir Charles Lyell in Principles of Geology (1830), remains the hallmark of modern geology, This paradigm has resulted in the interpretation of the evidence of 3,000 -years of cyclic catastrophism from 4000 to 687 BC, as having occurred over a period from 66 Ma to the present day. Modern day geology defines the Cenezoic Era as the period from 66 Ma (million years) to the present day. Cyclic Catastrophism posits that the processes assigned to the Cenozoic Era all took place in the last 6,000 years. The following is a review of the current interpretations of the geological evidence along with brief Cyclic Catastrophism explanations. (b) Sedimentary rocks predominate throughout the Cenezoic. This is because of the enormous floods caused first in the Younger Dryas and later byby proto-Venus, in which the oceans left their beds and flowed over the continents, the influx of crustal material from Mars and cyclic tidal flooding due to one hundred captures and releases of Mars. These covered most of the Earth with layers of geologically young sedimentary rock which have not had sufficient time to metamorphize. (c) More than half of the worlds petroleum occurs in Cenezoic rocks. This is due to the great mass of animals and plants destroyed and buried by the sudden floods and earthquakes in the traumatic encounters with Venus and Mars, which lasted only 3,000 years and ended 2,700 years ago. (d) The only igneous rocks present in the Cenezoic are about a dozen large flood basalts – most of these are larger than 1 M (million) cubic km either as rhythmic (equally thick layers) continental flood basalts, such as the Deccan Traps, or oceanic plateaus. They are horizontally bedded, comprising many layers of equal thickness. As explained in a previous post, these extrusions were tidally induced by the cyclic capture and release of Mars in a geostationary orbit over the Himalayas. Each of the equal thickness layers or ‘steps’ represents one 14.4-year presence of Mars. Thus the Deccan traps represent a geological time-machine for the period from ~6000 to 2702 years BP (687 BC). This is made clear by the fact that the lowest layer of the Deccan Traps contains the iridium layer that marks the K-T extinction, due to the passes of the flaming, molten, outgassing proto-Venus. Thus the dinosaur’s world was not destroyed by the Chicxulub impact or the Deccan Traps. This layer was the resilt of two close encounters of the flaming, molten proto-Venus which occurred ~ 6,000 years BP. (e) A number of the worlds largest mountain ranges were ‘built’ in the Cenezoic, called the ‘Main Alpine Orogony’. These include the Alps and Carpathians in Southern Europe, the Atlas range in North Africa, Mount Hermon massif, the Central Asian Orogenic Belt and the Himalayas. ‘Lyell geology’ claims that these all rose inches at a time, as a the result tens of thousands of earthquakes, in some cases due to subduction of tectonic plates. The Himalayasnges were uplifted practically instaneously by two close passes of proto-Venus, not gradually by thousands of earthquakes as believed in the uniformitarian paradigm. Evidence of the two close passes of the molten, flaming proto-Venus’ is clearly delineated by the completely dessicated strip from the Sahara, through the Middle east, Central Asia to the Himalayas. Recently USC geologists have discovered that the Atlas Mountains in North Africa, along the path of proto-Venus are underlain by a layer of hot melted rock, just as is Tibet and are not in isostatic balance. The other mountain ranges were raised by Mars, which due to its mass moment tidally attached to the lithosphere via the Himalayas, caused the entire lithosphere as a unit to rotate more slowly and at a 31 degree angle relative to the mantle by tidal drag. The allowed a massive flow of fresh lava from the asthenosphere to rise up into the continents where they were thin, forming granite as the it cooled slowly beween encounters. The global floods also caused by the two overturnings of the lithosphere spin axis by proto-Venus covered much of the Earth with ocean bottom material and the tidal flooding caused by the one hundred encounters with Mars further obfuscate the interpretation of the geological evidence, currently known only as the Mid-Lithosphere Discontinuities. (g) The Azolla event is currently dated in the middle Eocene epoch, around 49 million years ago, when blooms of the freshwater fern Azolla are thought to have lived in what is now the Artic Ocean. The shift of the spin axis of the lithosphere to central canada during each Mars encounter, placed the Artic Ocean at sub-tropical latitudes, where these plants were able to thrive during one-hundred 14.4 year periods between 3717 and 687 BC (5732 and 2699 BP) . (h) Modern geology claims an ‘East-West Tethyan Equatorial Seaway‘ existed between India the Atlantic Ocean, which was cut into two bodies of water by the northward motion of the Africa, Arabia and Eurasia tectonic plates in the early Miocene, 18 Ma – with the western end forming the Mediterranean Sea. This Tethyan seaway is a complete fantasy ‘left over’ from the notion of a putative ocean that circled the world (250 Ma). The African tectonic plates did not move during the ‘Cenezoic’. 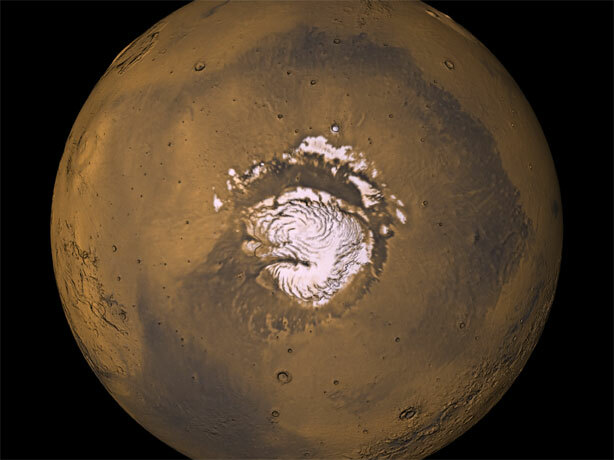 Each time Mars was captured in its geostationary orbit over the Himalayas, its tidal effect drew all the water located thousands of miles in all directions toward Mt. Kailas, where it formed a permanent 5,000 m high tidal bulge, marked by the massiive Kailas formation, 1300 km in length. When Mars was released 14.4 years after each capture, the waters flooded back to their normal levels along the same routes. Evidence of both East and West flows is obviously the reason this was called a seaway. Middle East cities were all built on tells or mountains to avoid this flooding twice every 30 years. (h) One of the great puzzles of modern geology is called the Messinian Salinity Crisis, currently dated at 5.3-6 Ma. It is based on the presence of a km thick deposit on the bottom of the Mediterrean Sea, comprising an uncountable number of thin layers of evaporites, which mean that it completely dried up many times. This implies to uniformitarian geologists that motions of tectonic plates repeatedly cut off the Mediterranean from the Atlantic for sufficiently long periods that the entire Mediterranean Sea evaporated, This explanation has resulted in its dating at 6 Ma, but the large number of layers of the type of salts, (bishofites), which are those emplaced in the final stages of evaporation of seawater, render this explanation untenable. In Cyclic Catastrophism, the same flooding events, due to the tidal effect of Mars explained above, emptied the Mediterranean Sea for one hundred periods of 14.4 years with each forming an additional layer of evaporites. Similar evacuation of all the water at the periphery of a spherical ‘cap’ centered on Mt. Kailas occurred during each encounter. (i) The the equatorial-to-polar thermal gradients in the early Cenezoic were less than half they are at present. The evidence on which this is based was due to the shifting of the spin axis of the lithosphere to what is now called central Canada, well west of Hudson Bay for each 14.4-year Mars encounter and the subsequent return to the normal north pole for the periods of 15.6 years when Mars was released into its planetary orbit between encounters. These cyclic 30 year shifts of the ‘equatorial regions’ were too frequent to be resolved in the paleontologic record, and so led to the notion of a larger equatorial thermal zone. (j) Some geologists believe that the North American glaciation occurred during the last ice age, but the current rapid isostatic rebound rate of central Canada implies a younger age. To explain this conflict, geologists have invented a new phenomenon, called ‘delayed isostatic recovery’ while others place it at between 3 and 2.5 Ma. Cyclic Catastrophism dates it at – you guessed it – 3717 to 687 BC (5732 and 2699 BP), since Central Canada was the temporary north pole for 14.4 out of every 30-year cycle, it was last covered by a 9,000 foot mountain of ice only 2700 years ago. This is the only explanation truly consistent with the current isostatic recovery rate. (k) Geologists and Paleontologists have been completely misled by supposed changes and reversals of magnetic fields in rock sequences, believing that they represent very ancient eras when the continents were still drifting on the surface of the Earth. They imagine changes in magnetic orientations called ‘chrons’ that define some sort of a time measure. But the data comes from localized sites around the world and can never be really integrated. Each time Mars became captured in its geostationary orbit above Mt. Kailas in the TransHimalayas at about 44,400 km center-to center distance, its moment linked to the lithosphere forced Mt. Kailas to a temporary equator for 14.4 years. During these periods, the entire lithosphere slid smoothly over the asthenosphere with Mars and the Himalayas in the plane of the solar system while the geomagnetic field remainedtilted at 23.5 degrees to the plane of the solar system. Thus all rocks that formed (crystallized) during these 14.4 year periods, such as the main section of the Deccan Traps all have reversed magnetic fields. The planet we call Earth is ancient – 3.9 billion years old, but younger by 700 million years than Mars based on native rocks of the Earth compared with meteorites from Mars. Roughly 6,000 years ago dinosaurs ruled the Earth, but God set in motion a plan to wipe clean this cold-blooded reptilian world and bring to the Earth the life-forms we know today using the bodies we now call planets: proto-Venus, Mars and Mercury. Actually, neither Venus or Mercury were planets before the Vedic Period, since Mercury, the former solid iron core of Mars only entered its current orbit a few centuries after 687 BC. All of the evidence of the 3,000-years of cyclic catastrophism has been mistakenly expanded to 66 million years, and named the Cenezoic Era, dictated by the uniformitarion paradigm which currently dominates geology or paleontology. It is inconceivable to the evolutionist, athiestic mind that such a miraculous transformation could be performed, so the old Lyell and Darwin ideas are still embraced. But no species on Earth today has evolved from another species in the last 6,000 years. Amazingly, paleontologists have found that the giant animals of today were much smaller back at the beginning of the Cenezoic. That was so they could be transported to the Earth in Arks, which are in the most ancient cultural memories on the Earth as vessels FROM WHICH a male and female of every species exited. The species were then designed to expand into their environments. The entire world we know today is the result of the influx of the atmosphere, oceans, crustal material and most significantly, all the advanced life-forms, flowering and fruit-bearing plants which provide food for them and mankind came to the Earth in the last 6,000 years, not in the past 66 million years. This all took place in the time span of the Bible itself and the Deccan Traps, for which the age is estimated to be roughly 6,000 years. Radio carbon dating, corrected by dendrochronology, is all the dating that is needed for the Cenezoic. Archaeologically the K-T extinction is called the BA I, the 300 year ‘silent period’ required for Adam to repopulate the Earth. Ar/Ar dating fails to give the age of the Deccan Traps because the entire atmosphere of the Earth was changed during the Mars encounters, as proven by the dendrochronitic correction for radiocarbon datingwhich increases linearly during this period. U-Pb ages are also useless because of the massive amounts of gases (like iridium) from proto-Venus and the enormous mass of rocks, dust , including zircons blasted to the Earth from Martian volcanoes, evidenced by its northern third being 7 km below the planetary datum. Isaiah 65:17 For, behold, I have created a new heavens and a new earth: and the former shall not be remembered, nor come into mind. ~ by Angiras on January 25, 2015.